It has already been 8 weeks and 6 days since we lost our baby in our third pregnancy. I know exactly how long it’s been because I am so thrilled to announce that we are expecting our third baby, with our fourth pregnancy, and I am 8 weeks and 6 days along! We were surprised and shocked that it all happened so fast, but we are feeling extremely blessed and thankful for this miracle. We’ll definitely have an interesting spring, becasue our baby is due May 7, 2016 and that’s right in the middle of when we’re planting our crops! 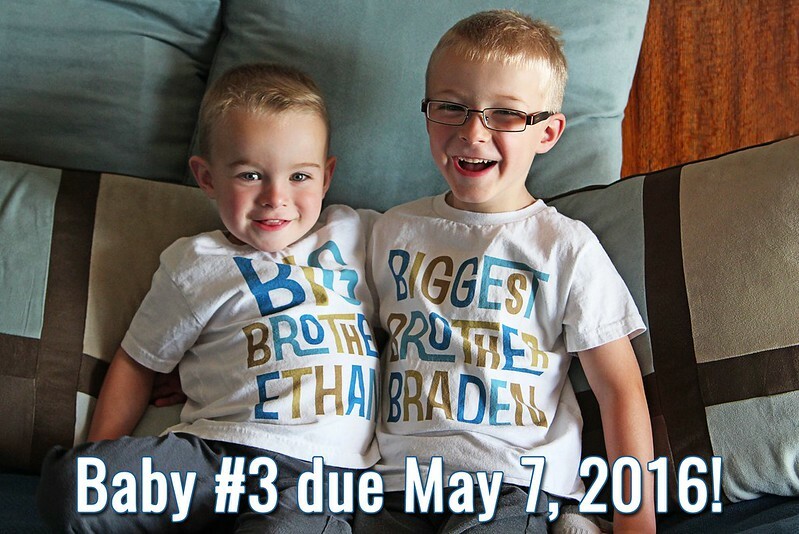 Perhaps this little one will come a few weeks early like Ethan, or maybe a bit late like Braden. Whatever happens, we know it’s in God’s hands and He’ll provide for us, as He always does! The boys are so excited! Braden is extremely proud to be the “biggest brother” just like his cousin Luke who has two younger siblings and Ethan understands that we’re going to have a new baby in the spring, but I think it will start clicking with him more as the baby gets bigger, we get ultrasound pictures, etc. A baby that is expected after losing a baby is called a “rainbow baby”. In the real world, God gives us beautiful rainbows after a storm and gives hope and promise that things will get better. How suiting, considering that through my miscarriage all I could see in my head was the word “storm” and God’s promise that he would weather the storm with me and help me get through us. Now God has blessed us with our rainbow — something colourful and radiant has appeared from the darkness. Has anyone been following my blog long enough to remember this picture from about 2.5 years ago? 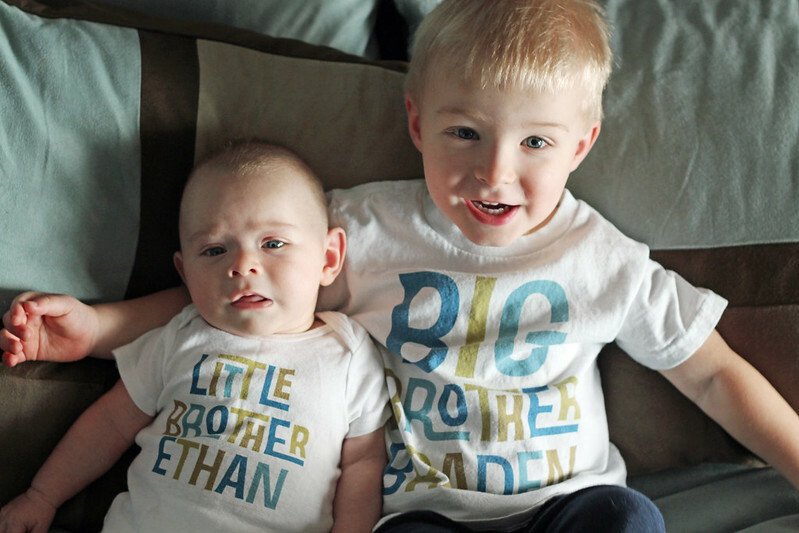 I’m really glad Things Very Special is still in business on Etsy, I will definitely be ordering a “Little Brother” or “Little Sister” shirt when baby is here! Speaking of that, in Schultz baby tradition, we’re staying on “team green” and the gender of the baby won’t be known until delivery day! My first ultrasound will be when I’m almost 11 weeks, exactly 2 weeks from now on Ethan’s 3rd birthday! So, there you have it! 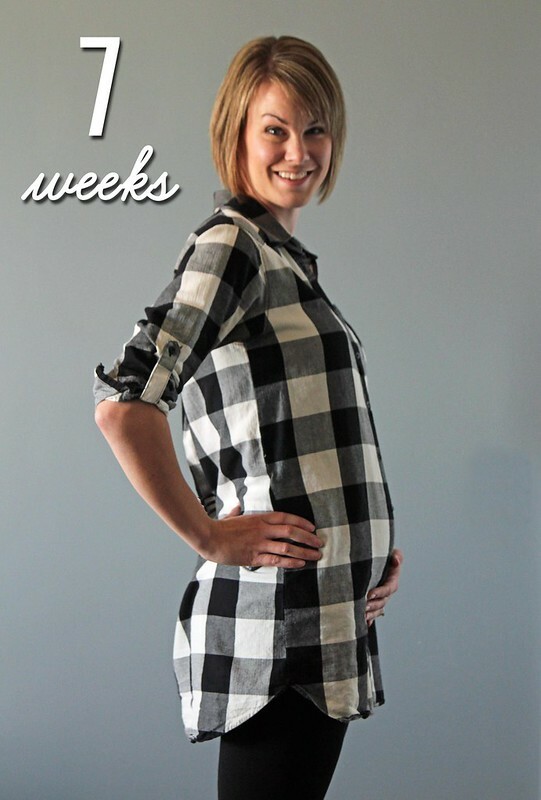 I have no idea how often I’ll do pregnancy updates, but I hope to often. I did them every 2 weeks with Braden and every 4 weeks with Ethan…maybe somewhere in the middle for this one. I have been very nauseous, not pukey, but but a constant feeling of (as I described it last time) impending barfage. I’m not to the point where I need to or want to take medications for it, if I keep snacking or eating regularly, I can usually get past the worst nausea. No food aversions but I did go a few weeks already with no coffee…now I only have it sometimes in the morning. I want really crap food right now. I’m really not much of a pop drinker, but I crave pop, especially grape flavour or root beer…the fizzies help settle my nausea. I want chips. I want processed foods like Lipton’s chicken soup and Alphagetti. I’m eating it with no shame. If I can get it down and I feel better? I eat it! The belly is definitely there, but as per usual, most of it is the infamous first trimester bloat. And holy hormones, Batman. I have been so emotional: upset, agitated, depressed, elated…all of them. In truthfulness, I would have announced this pregnancy a bit sooner, but I just wasn’t ready to share the joy. I am very happy about this baby, but I was so emotional about canceling my trip to Ontario and the stresses at the end of this long harvest season, I just couldn’t get the motivation to do it. I am also very forgetful and had an awful Sunday evening consisting of forgetting it was my monthly night with other moms to clean the playschool (had to keep the kids up until 9 to clean!) and almost forgetting the dog at the field after harvest supper. I’m out of this slump, but could still cry at the drop of a hat! I hope you’ll follow along as me and baby #3 grow! Congratulations! What a wonderful, glorious blessing! Congratulations on your rainbow baby. I am due about a week earlier with our surprise fourth baby. I’m still not sure how it will go with three kids 5 and under and being due during planting season. My husband may not know we have another child until sometime in June. Interesting that carbonation makes you feel better. It always makes me feel sick when I’m pregnant. Let's pray for each other for our seeding babies, shall we! It will definitely be an interesting season, but I'm trying hard to "let go and let God" take care of it for me! AHH CONGRATS GIRL!! Can't wait to see you and your beautiful bump in a few weeks! Congratulations!!!! I'm so happy for you! I don't know why, but last week I was looking at your Twitter feed and thought, 'I wonder if she's pregnant?' 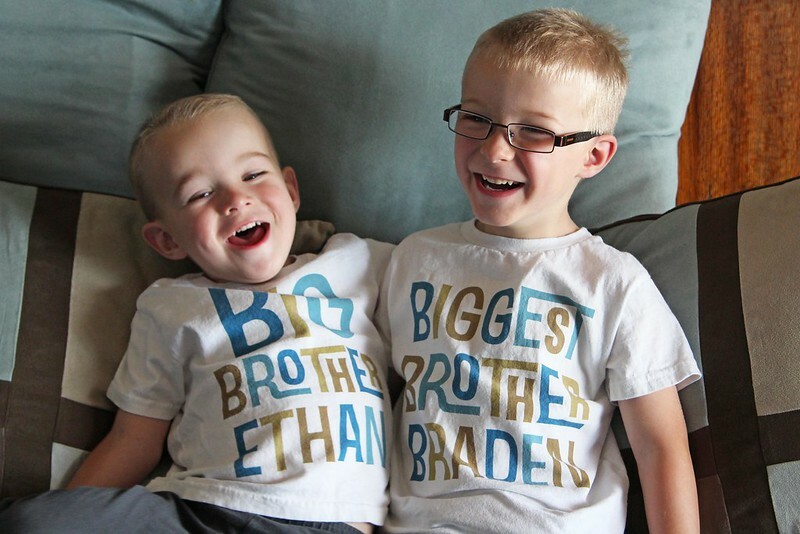 Judging from how much they love their cousins, Brayden and Ethan will be great big brothers! Wonder why you were thinking that? Regardless…very true! Thank you! Congratulations! I am also currently pregnant with my rainbow baby and am due the exact same date as you! I lost my third child as well (a son) almost 6 months ago at 16 weeks gestation. 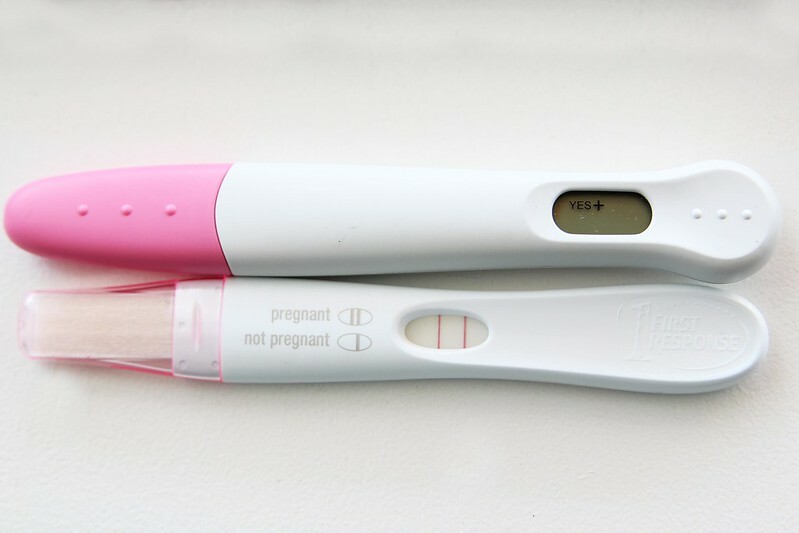 While I have been very open about my loss, I have been very secretive about my pregnancy. I’m terrified this time around. How brave of you to announce your rainbow baby! Congratulations!!!! What a wonderful blessing to you all. Congratulations on your little blessing!! Praying for a healthy and easy pregnancy for you! My recent post Hazel Firsts | Bottle Success! Thank you and that would just be the best blessing to have a healthy pregnancy & baby. Congrats!!! I’m right behind you at 8 weeks 4 days. This will be my 3rd baby/4th pregnancy also. 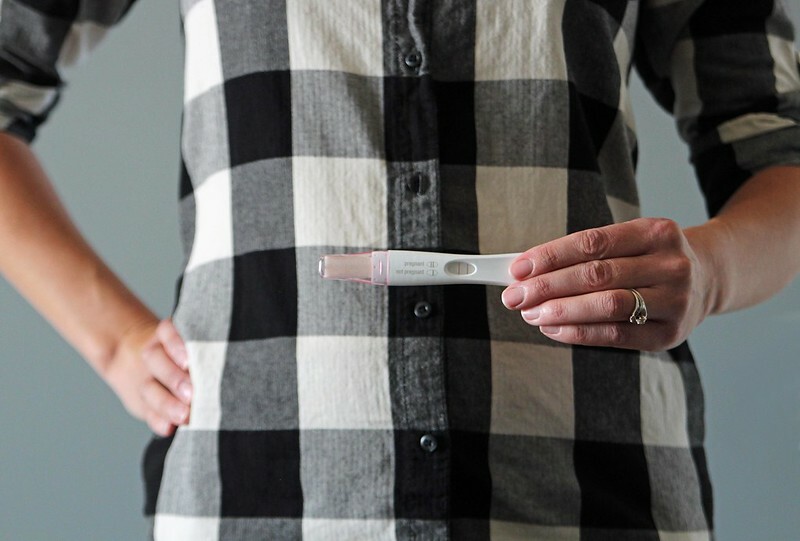 My last pregnancy was a ruptured ectopic. Wishing you a happy healthy pregnancy. Feel good! How exciting, Kerry! Best wishes to you, how are you feeling? Can you help a day or two at seeding in the field, farm girl 😉 Thanks, Teresa, look forward to seeing you soon! 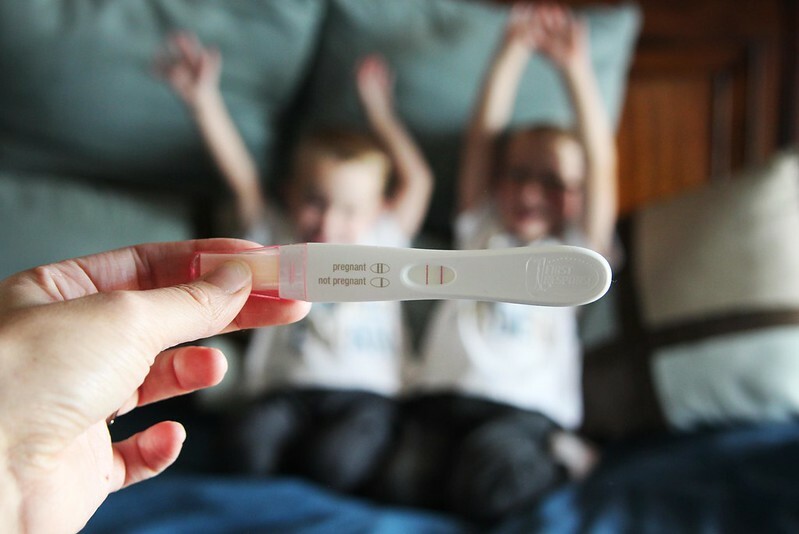 Congrats to you and your family Sarah that is very exciting news! 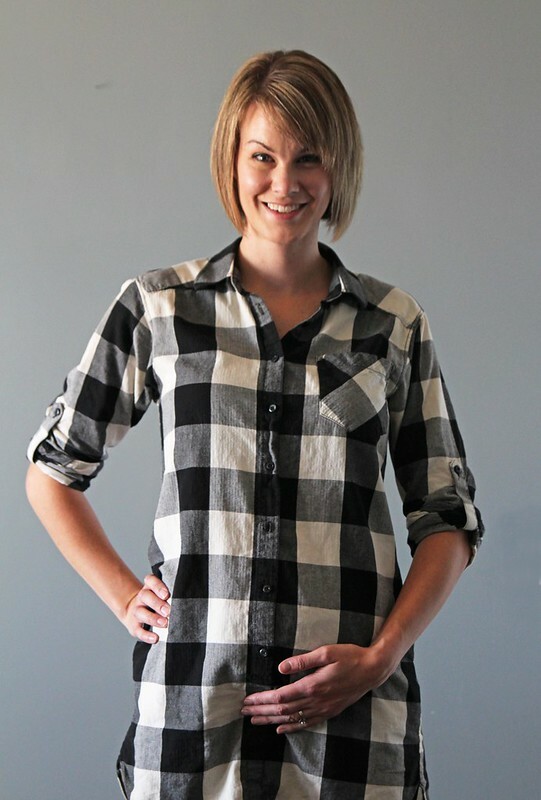 I love the boys shirts and your baby bump is cute!